Lucerne, 28. April 2017 – Emmi is acquiring a 40 % stake in Brazil’s Laticínios Porto Alegre Indústria e Comércio S/A, based in Ponte Nova in the state of Minas Gerais. The company is among the five largest dairies in its main market of Minas Gerais in milk collection, with strong positions in the cheese, fresh cheese, UHT milk, butter and whey powder product categories. With this transaction, Emmi is strengthening its presence in Brazil and moving ahead with its programme of international growth. Emmi’s strategy is to strengthen its market position in Switzerland and grow internationally. This growth is to be achieved organically and through acquisitions. By acquiring this stake in Brazil, Emmi is strengthening its presence in a country that has been on the company’s watch list for a number of years. Emmi has a longstanding presence in this market as a leading exporter of Cheese Fondue and raw milk cheeses from Switzerland. The 40 % stake in Laticínios Porto Alegre Indústria e Comércio S/A strengthens Emmi’s position in South America and creates a second strong local foothold alongside Chile. The remaining 60 % holding in the company, which was founded in 1991, will be retained by brothers José Afonso and João Lúcio Barreto Carneiro. The latter is the company’s CEO. He will stay in the company and help to drive forward its future development together with Emmi. The state of Minas Gerais is roughly the size of France and with a population of approximately 20 million Brazil’s second-largest state after São Paulo. 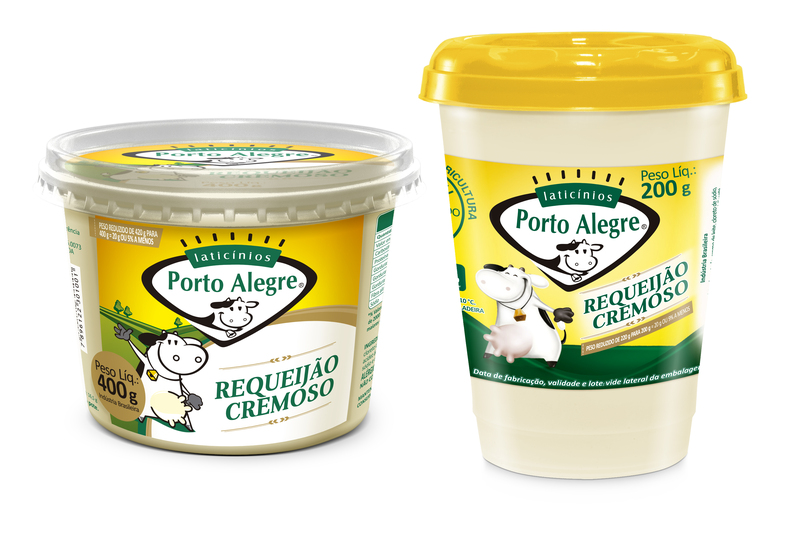 Laticínios Porto Alegre is the fifth largest dairy in its main market of Minas Gerais, with strong positions in traditional natural cheese, mozzarella and requeijão (fresh cheese), UHT milk and butter. It also manufactures whey powder for the Brazilian Food Industry. In 2016, the company generated sales of approximately BRL 500 million (around CHF 150 million) and employed some 1,000 people. Its head office and one production facility are located in Ponte Nova, with another plant in Mutum. Both locations are just a few hundred kilometres from São Paulo and Rio de Janeiro. The company also recently purchased production infrastructure in Barbacena to focus on the manufacturing of fresh cheese products. Porto Alegre is a very well established company with a modern production and distribution infrastructure. Over the past few years, it has developed extremely well, with growth rates that have outperformed the market. This was due in part to the excellent raw milk base of the company, which has been built up through successful cooperation with milk producers. The product portfolio has for some time been changing from basic products towards more premium dairy specialities, an area in which the collaboration with Emmi will create further opportunities. The parties have agreed not to disclose the price of the stake. Following a number of years of economic difficulties, the Brazilian economy is now stabilising. Inflation has fallen in recent months, and the Brazilian Real has recovered. These are important prerequisites for a future economic growth, including improved sales of Brazilian retailers. Brazil is by far the largest economy and with a population of more than 200 million also the most important dairy market in Latin America. With more than 34 billion kg of milk produced it ranks among the largest global milk producers. Emmi’s engagement offers a good opportunity to be present in this long-term attractive market. Laticínios Porto Alegre Indústria e Comércio S/A, headquartered in Ponte Nova with production facilities in Ponte Nova and Mutum, was founded in 1991 and is family owned. The company is the fifth largest dairy company in Minas Gerais, the second-largest state in population after São Paulo, and has a strong position in the areas of traditional natural cheese, mozzarella and requeijão (fresh cheese), UHT milk, butter and whey powder. In 2016, it generated sales of around CHF 150 million and employed some 1,000 people.